The number of breastfeeding discrimination lawsuits filed against U.S. employers has skyrocketed 800% in the last decade. And the trend is likely to continue as more young women learn about their rights and the media focuses its attention on the plight of women who want to express milk while at work. Eight years ago, the Affordable Care Act mandated that all employers provide women with reasonable break time in which to express breast milk, and a space in which to do it, for up to a year after the birth. But, businesses with fewer than 50 employees are exempt if they can prove the policy burdens them. The provision also applies only to employees who are considered “nonexempt” under the Fair Labor Standards Act. That means it applies mainly to those whom their employers must pay overtime if they work more than 40 hours a week. Under the ACA, businesses must provide employees with a “reasonable break time” to pump for one year after giving birth, every time they need to do so. And workplaces are required give women a private space – not a bathroom, but not necessarily a permanent, dedicated lactation room – in which to pump. Individual states have passed more expansive laws that require in greater detail what kind of space is appropriate. But, despite the laws on the books, some employers punish women for taking time out of the workday to pump or nurse and/or they fail to provide an appropriate area in which to express breast milk. In the 2014 ruling Allen-Brown vs. District of Columbia, a federal court held that breastfeeding is a medical condition related to pregnancy, which means employers are therefore required to accommodate it under the Pregnancy Discrimination Act. And high-profile lawsuits continue being filed. The American Civil Liberties Union has filed discrimination complaints on behalf of a group of female flight attendants and pilots who work for Frontier Airlines, all of whom say the company failed to accommodate pregnant and breastfeeding employees. The flight attendants allege that they were required to work 10-hour shifts with no breaks for them to pump. 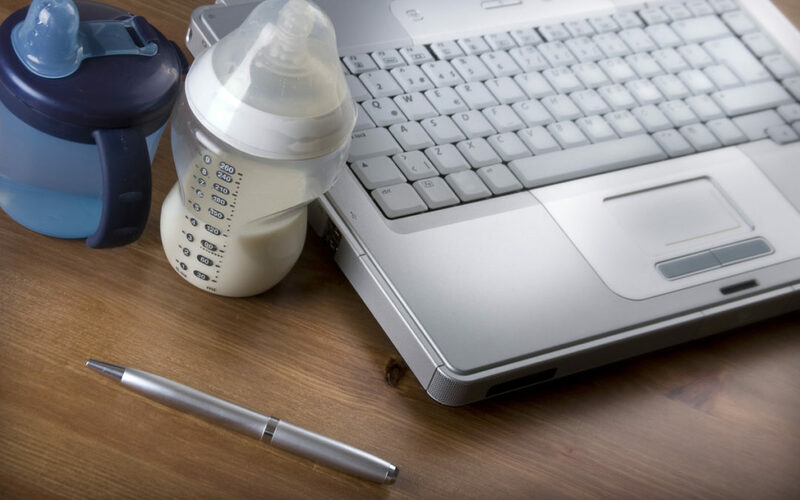 Enabling employees to continue breastfeeding at work can encourage staff loyalty, and the organization can benefit from the skills of the employee returning sooner that might otherwise be the case. Start with policy – Create a workplace policy for how your organization will handle requests from employees returning from maternity leave for changes to their working conditions. Have a staff liaison – preferably a woman – to whom they can make their request for an area and time to express milk. Provide space – You should provide a private, hygienic, safe and secure area where a mother can express milk. This could be an unoccupied office or meeting room that can be discreetly screened and its doors locked. If in doubt, you can ask the employee what area in the workplace she would consider most appropriate. In any event, it’s inappropriate to use toilets, break rooms or sick rooms as there may be a hygiene risk. Don’t relegate the employee to an area that is dirty, cold, too hot, not private or where there is a chance someone will walk in on her. If, after careful consideration, you’re unable to provide an appropriate space, you should discuss the issue with the employee to see if there is any alternative facility. Fridge and storage – Most businesses have a break room with a fridge or cool area. You should consider allowing the mother to store her expressed milk there, perhaps secured in a re-sealable container for hygiene purposes. Discuss storage preferences with the employee. Provide for additional breaks – Try to work with the employee so that you can provide short breaks from work that should not have a significant impact on your business. Don’t discriminate – Do not discriminate against breastfeeding employees.